are you ready to find your best friend? Adopt Colt and have a dance party! Lucas County Canine Care & Control handles stray and homeless dogs and enforces dog laws in Lucas County, which is in northwest Ohio, including the City of Toledo. We handle about 300 dogs monthly. We have a staff of 25 people, including six Canine Control Officers, four office staff, seven kennel staff, one veterinarian, two veterinary technicians, a community outreach coordinator, a behavior technician and three management positions. We do not receive money from the County general fund. Our department is funded primarily through the purchase of dog licenses. Your dog license purchase not only helps to protect your dog, but also helps us care for homeless and stray dogs, protect the community from loose and dangerous dogs, and help reunite lost dogs and their owners. 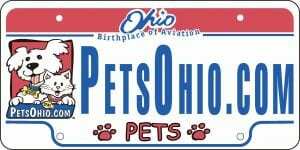 The Ohio Pet Fund supports spaying and neutering of owned and shelter animals with the proceeds from the sale of Ohio Pet License Plates. Please consider this option next time you renew your Ohio license plates! We received a $2500 grant from them this year to help with the cost of spaying and neutering all our adoptable dogs. Visit Lucas County Canine Care & Control ‘s profile on Pinterest.